A key quarterly economic survey by the Bank of Japan shows sentiment among large manufacturers remained unchanged between November and December, even as worries about global trade tensions persisted. The tankan survey, released Friday, says sentiment remained flat at 19 for a second time after three quarters of decline. The survey, long seen as an important indicator of the state of the world’s third-largest economy, looks at the difference between companies surveyed that have a “favorable” outlook and those with an “unfavorable” outlook. Some analysts had expected a downturn in sentiment. The survey, however, projected sentiment would drop by four points to 15 over the next three months. Japan’s growth is dependent on exports, and any slowdown in pan-Pacific trade would hurt sentiment. Uncertainty over trade friction with the U.S. would also discourage investment as manufacturers take a wait-and-see approach on whether their sales or profits might be affected by U.S. President Donald Trump’s trade policies. Oil refiners and chemical companies were more optimistic, helped by expectations that a fall in crude oil prices would improve their bottom line. Manufacturers of production machinery were more downbeat amid slowing demand for smartphones in Asia. The index for large manufacturers’ sentiment regarding the coming months fell by 4 points to plus 15, with respondents citing adverse effects from the ongoing U.S.-China tariff war. Trump and his Chinese counterpart, Xi Jinping, earlier this month agreed to hold off on imposing new tariffs for a 90-day period, during which negotiators from their countries would try to strike a deal. The world’s largest and second-largest economies have already raised tariffs on hundreds of billions of dollars on each other’s exports, stoking concerns of a slowdown in the global economy. Sentiment among large nonmanufacturers improved for the first time in two quarters, with the index rising two points to plus 24, as retailers, restaurants and hotels saw a rebound from the gloom of three months earlier, when Japan was hit by the strongest typhoon in 25 years and a powerful earthquake caused a massive blackout in Hokkaido. The index for large nonmanufacturers’ sentiment regarding the coming months was down 4 points to plus 20, with many respondents blaming a severe labor shortage and rising personnel costs. 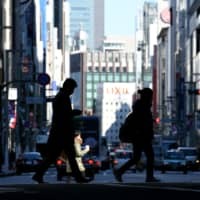 Large companies — classified as those with capital stock of more than ¥1 billion — in both manufacturing and nonmanufacturing said they plan to increase capital spending by 14.3 percent during fiscal 2018 compared with the previous business year, the fastest pace since 1990 and a 0.8 percentage point upgrade from September. 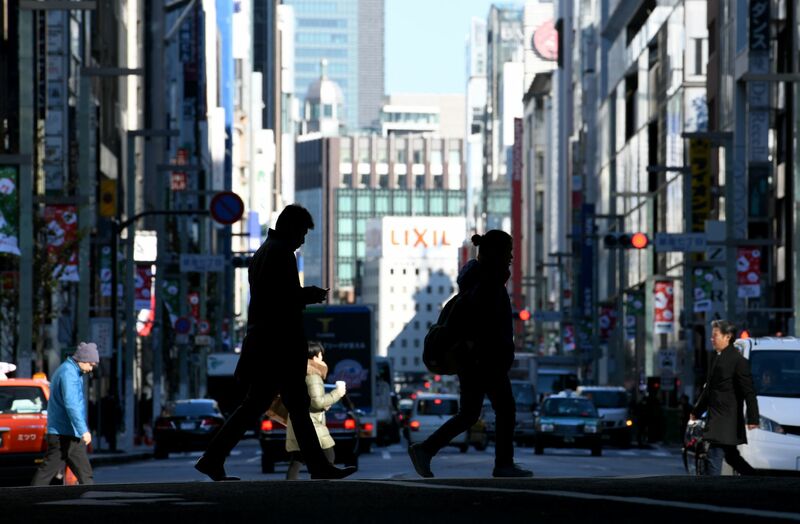 The BOJ surveyed 9,860 companies between Nov. 13 and Dec. 13, of which 99.6 percent responded.